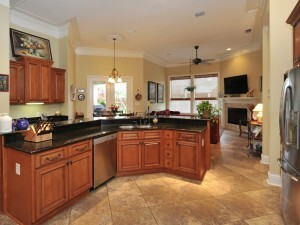 This home in Tealwood of Belforest is one of the most fabulous homes in Daphne Alabamafor under $400,000. Partner that with the surrounding Community and you are going to want to see this house. Belforest is a community in Daphne, AL located close to Daphne area Schools. Home of the National High School Football Champions, Daphne is sought after by parents looking for good schools with great athletic programs. Nestled in Daphne is Tealwood, a subdivision offering a playground and lake for its families. 9701 Widgeon Ct. is a 4 bedroom, 4 bath with bonus room and office offering plenty of space for a large family. At the end of your workday, pull into your attached two car garage and enter a Craftsman home full of all the bells and whistles possible to make life easy. Central Vacuum, Audio/Video System, and even a water purification system. The indoor and outdoor fireplace is great for any time of year! Two living spaces and a formal dining room give ample space to house all the family holiday dinners. Make the best use of your Gourmet Kitchen shopping at the locally owned Allegris Farm Market. Just minutes down the road you will find the most variety of South Alabama Locally grown fruits and vegetables. Conveniently, your pot filler is built in right over the five burner stove. The kitchen is definitely well-equipped for a Gourmet cook or anyone who loves to spend time in the kitchen. Daphne offers a community connected to its future, dedicated to the success of all its children. There are many nearby shopping possibilities such as the Eastern Shore Centre and you are only minutes from beautiful Mobile Bay. This home for sale in Tealwood of Belforest in Daphne AL is equipped and ready for memories to be made.